Jack: I can remember it like it was yesterday, my dad and his best friend Andy, perched on the end of a bed, bumping shoulders against one another in an attempt to deter the other, as they played Wave Race. My dad wasn’t a gamer by any means and Wave Race was actually one of the first games I can ever remember him playing it and sometimes, when he wasn’t out working, or out on the lake doing some real-world jet-skiing, he would play the occasional round of Wave Race with myself, my brother Mike and our sister Ashleigh. For quite some time now, I had hoped Nintendo would release a Nintendo 64 mini, just so he and I could sit side by side and play that classic game, but that day can no longer come to pass. During the early hours of Saturday morning, I found myself having to say goodbye to the man who encouraged me to scuba dive, taught me to handle boats and PWC’s, gave me a 10 years’ worth of work in construction, but most importantly, the man who raised me. Out of respect to him, I will not go into all the details with regards to what happened, but I will say a few things. He was only 56, he wasn’t sick and it was extremely sudden. Despite reacting quickly and getting him to the hospital within 20 minutes, it just wasn’t fast enough. I had gone through a similar thing with my mum a few years ago, as it was very touch and go multiple times, except mum did something dad didn’t, she survived and now she has to survive the loss of the man she fell in love with when she was 17 years old and continued to remain with for nearly 32 years. Next month would have been their anniversary. However, one thing that does help give me some comfort, is Aqua Moto Racing Utopia. Developed by Zordix, it was a game I spent a long time wanting to play on a Nintendo platform and on the day I got my review copy, my dad did sit down to play it with me. It wasn’t for as long as I would have liked, but at least I had that chance to play it with him. So, thank you Matti and the rest of you guys at Zordix, your game has touched my life more than you could possibly imagine. But, before my brother has his turn, I just want to say my dad wasn’t perfect. No one is, but he did always try to do what was right by his family. He had plenty of lessons to teach and I might not have learned them all, or been the best of students, but they will never be forgotten and nor will he. His legacy will live on through those he left behind and had the chance to know him. Mike: We apologize that this is not our typical news post or feature article. It is with great sadness that Jack and I have lost our father on October 13. It is an unbelievable shock to us and our whole family that our dad John Longman passed away from a heart attack at 56. Jack and myself have agreed to post a tribute in honour of our dad who was not a gamer but he did enjoy one particular videogame, Wave Race 64. So, in his honour we present this tribute to our father, the real wave racer. 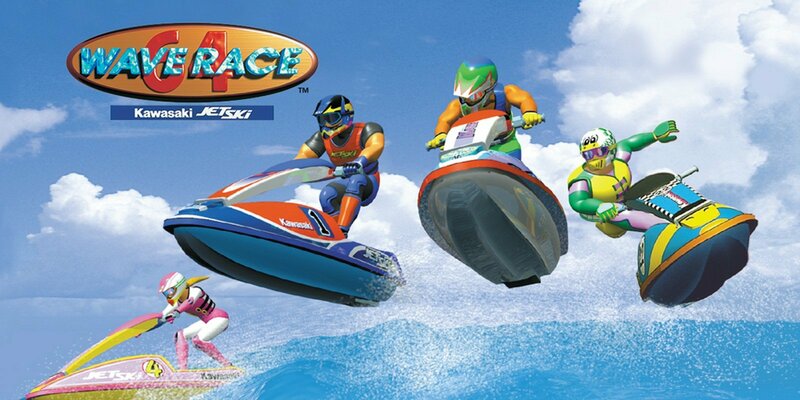 Like Jack said, our dad wasn’t into videogames but we do have fond memories of him playing Wave Race 64. My love of the sea came from my dad and my first scuba experience was with him. He also taught me how to ride a Jet Ski amongst other things. My dad loved Jet Skis and I remember going to the arcades in Swanage with my dad and watch him thrash the Jet-Ski machine around as he tried for first place. It was AquaJet by Namco and we were obsessed with it. He never won but he did do better than most people and I was proud of him for that. When my brother Jack got the Nintendo Wii for his birthday, my dad did have go playing Wii Sports. He used to box when he was younger so when one of the sports in the game was Boxing, my dad just had to have a play. Unfortunately, my dad was far too agile for the Wiimote and Nunchuk to register his movements. He would complain that the controls were not fast enough for him as he could literally get off six jabs easily in the time it took the Wiimote to perform one. We may not have played many games together but I will forever remember Wave Race 64, AquaJet and Wii Sports. May you rest in peace dad, we will miss you and will always cherish our memories of you. To my dad John, the real Wave Racer.